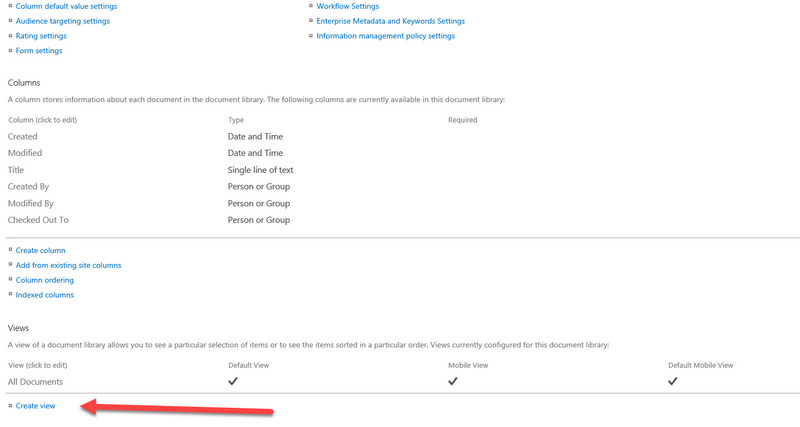 Technically speaking – this should work for any SharePoint folder that has multiple languages, but in our case we are specifically thinking about the Microsoft Project Reports link. 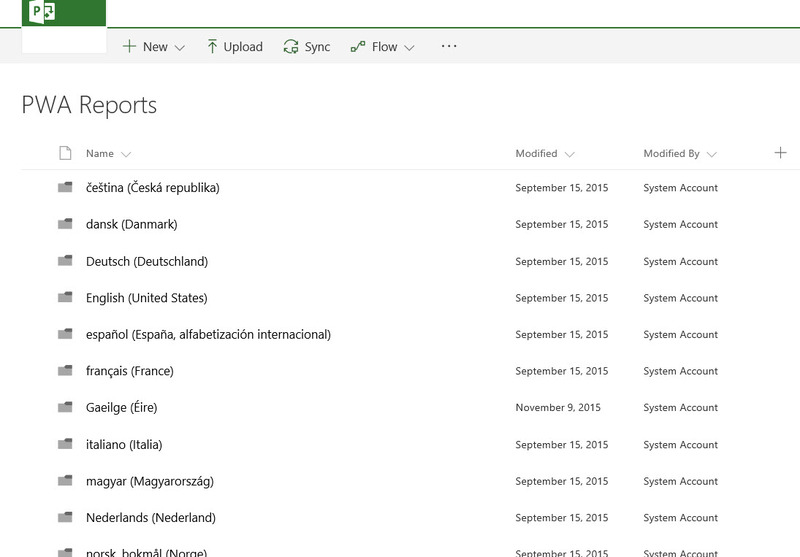 In Microsoft Project Server, and particularly in Project Online, you can have multiple languages used by the system. This is great functionality but you might only want one (or a few) language options to display when you try to open Reports. Since there is no ribbon anymore we have to modify this differently than in the previous versions. But, just like in the previous version, we need to create a new view. A person with the right permissions needs to go to the Library Settings via the Settings cox in the top right of the screen. 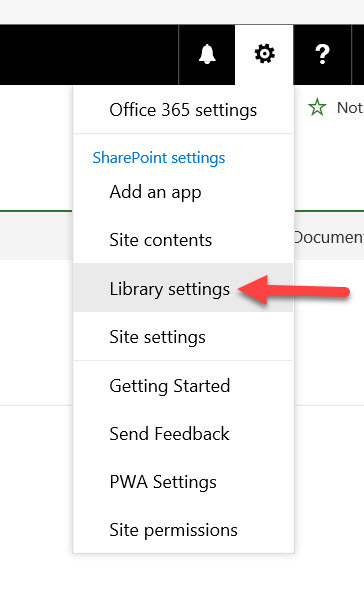 At the bottom of the Library Settings page is the Create View link. 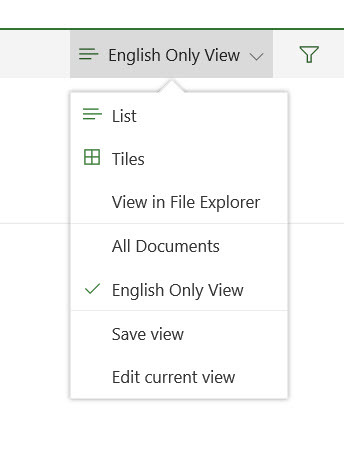 The columns and other options that you select are up to you and your needs but the key thing to remove the non-English language folders/options from the view is in the filter section. It is important to note that just adding a filter on the language folder will render all the reports IN that folder to NOT be visible. The way the filter works is from this site “down” so you have to add the “or” option for the types of reports that you have in the subfolder. 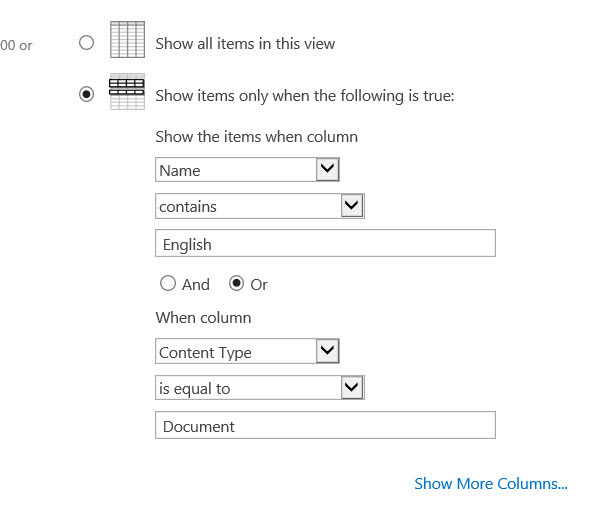 In our case, we just have Excel reports and those are considered “documents” so we add the second part of the filter to use the Content Type of Documents. If you do need to go back to the original view again for some reason, it is on the right hand side of the gray bar. 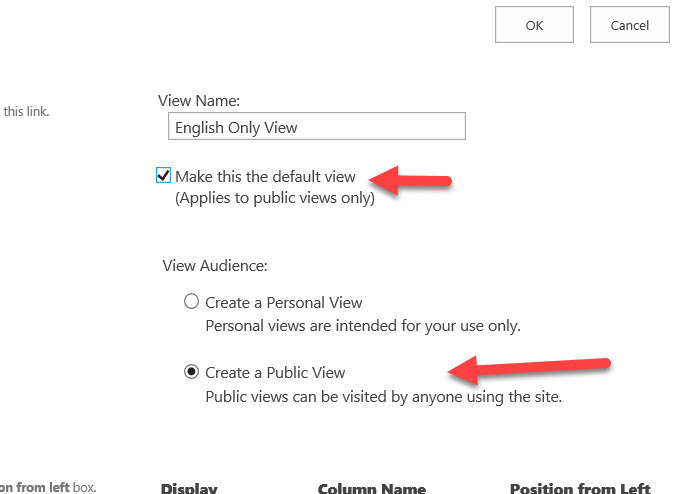 Just select the drop down and change the view.